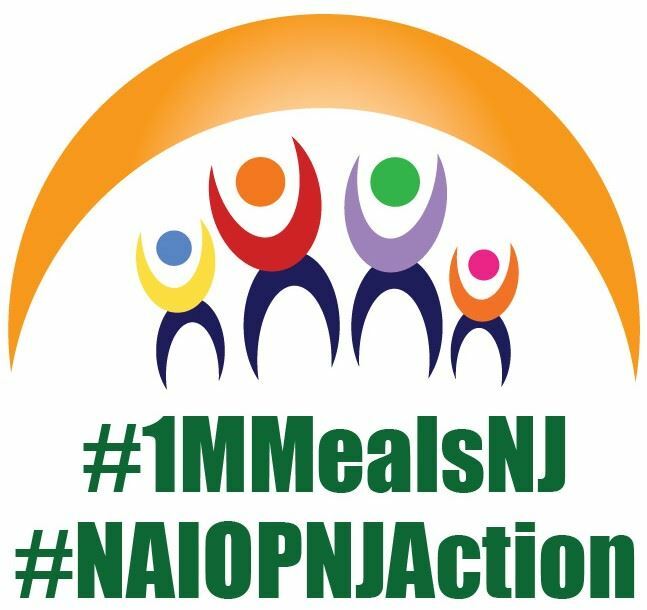 One Million Meals for New Jersey Fund Drive: Could YOU feed a million hungry people? Together, WE can! NAIOP NJ's 840 members develop and transform spaces, bringing jobs and investments to our state. Times are good for the commercial real estate industry, but many of our fellow residents have been left out of the economic recovery, and hunger is a problem in every community. 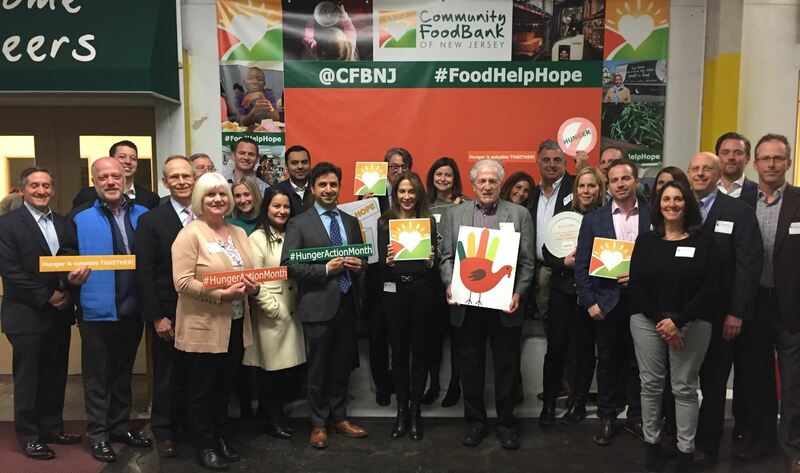 To celebrate our 10th year supporting the Community FoodBank of New Jersey, we're going BIG: our goal is to raise $333,333 to provide ONE MILLION MEALS FOR NJ! Every $1 donated equals three meals for our hungry neighbors all across the Garden State. Donate here, or use this form for offline donations/payments by check, and please give as generously as you can! Want to do more? You can raise additional funds by hosting your own event with the help of family, friends and colleagues (e.g. Jeans Day, Change in the Jar in the Office, or Super Bowl Fundraiser). You can also choose to give your time by volunteering directly at the FoodBank and having a hands-on impact to end hunger in New Jersey. Lastly, you might consider volunteering at one of the FoodBank's local service sites, such as a Farmer Market, where the FoodBank distributes free, fresh produce to hungry children and families. For more information about any of these opportunities, contact Evelyn Chiu, Senior Events Specialist, at echiu@cfbnj.org or 908-355-3663 ext. 252. And don't miss NAIOP NJ's July 26, 2019 Food Drive & Volunteer Day at the FoodBank...watch your email! “Volunteering at the NJ Community Food Bank is an experience that impacts you to the core when you see how any small act of kindness--through donations of money, food or most importantly the gift of self--changes the lives of those less fortunate. When people in our industry are so richly blessed, it takes so little for us to give something that can truly touch the lives of others.”- Janet Proscia, Cronheim Mortgage, Member, NAIOP NJ Community Action Committee. Before our partnership with the Food Bank began in 2010, NAIOP undertook a number of different projects. 2009 Cleanup with New Brunswick Elementary Students: The project received glowing reviews from the teachers, students and volunteers. According to NJ CCC’s Sandy Huber, volunteers picked up 2.26 tons of litter and recycled an additional 1.15 tons. 2008 Coat Drive for the Salvation Army:The more than 200 coats and jackets donated by NAIOP members were most welcome, since the tough economy has led consumers to hold on to their old clothes longer or sell them at yard sales or on eBay. This has had a dramatic affect on the usual volume of donations. “We will give out these coats at our Thanksgiving Dinner,” said Social Services Director Jeanette Lugo, as she and Captain Domingo Urban picked up the donations at NAIOP’s offices in New Brunswick. NAIOP members who brought coats by the bagful to the Fourth Annual President’s Awards Dinner on November 3, 2008. The New Brunswick Corps was amazed at the generous donation of 84 new jackets from Rennaissance Promotions in Delran, which was arranged and delivered by Richard Cureton and Whitesell Construction Co. Inc. Ms. Lugo noted that the need for help was overwhelming that year. “We had 350 families apply for our Adopt A Family program last year. This year we have surpassed 700 families. 2007 Burgess Memorial Park, Irvington: Raymond C. Burgess, Sr. Memorial Park sits in the heart of a residential neighborhood, adjacent to the Thurgood Marshall School and the local Head Start program. “This is a Godsend,” said fifth grade teacher Myrna Williams-Smith who brought some of her students to Build Day. “Finally, we have a safe haven that can be utilized by the community and our school.” Some 60 students, part of the school’s “Wayne Smith Achievers” group for academically dedicated youth, visited the park to watch longingly as the sparkling new play structures took shape. The students also enjoyed snacks, asked questions and thanked volunteers for their efforts. Mayor Smith announced the creation of a “Friends of the Park” organization to maintain and look after the newly renovated playground. Renee Burgess, daughter of the park’s namesake and President of the Irvington School Board, lives across the street from the park. She said she was “honored” by NAIOP’s efforts and her father would have been pleased. 2006 Breunig Avenue Park, Trenton: "My hope is that residents in the area will follow the example of basically strangers who took time to take care of an area they are not even from," said Trenton Mayor Douglas Palmer, who was first to try the new slide at the ribbon cutting.